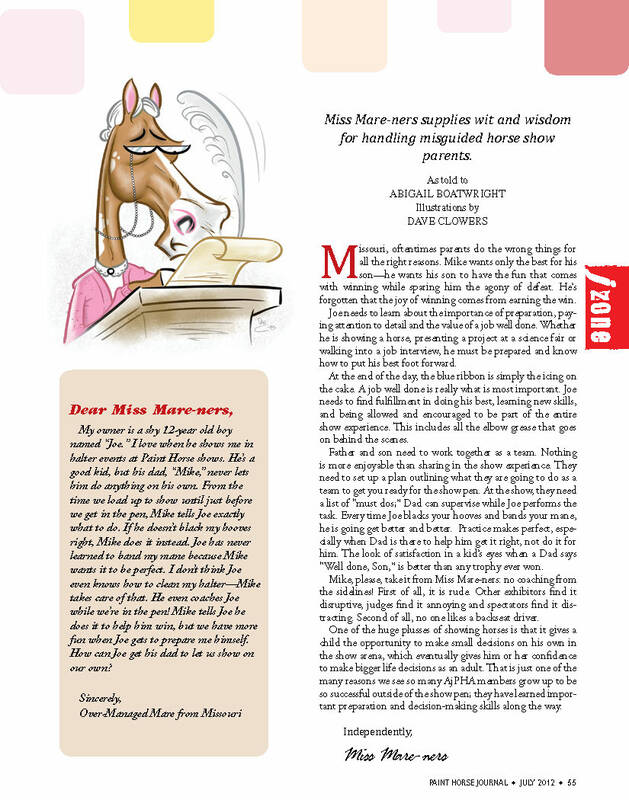 Miss Mare-ners was probably my favorite article idea that I pitched and wrote while working at the Paint Horse Journal. The articles are about a horse advice columnist that gives advice to worried and annoyed horses from around the country. Miss Mare-ners appeared twice while I was at APHA and I got to bring her back for a third article this summer. Miss Mare-ners wouldn't be half as great a character--or article series--without awesome illustrations by APHA's Dave Clowers. 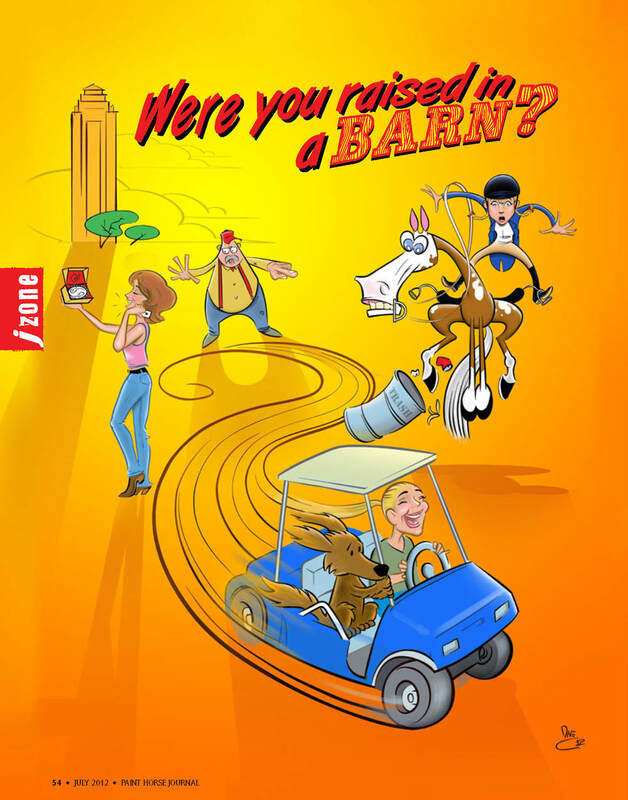 Laren Dubin has been the perfect source for a wacky topic like a horse advice columnist. I couldn't have done it without either of them and I'm grateful that APHA let me bring back my favorite horsey character--pearls and spectacles and all. 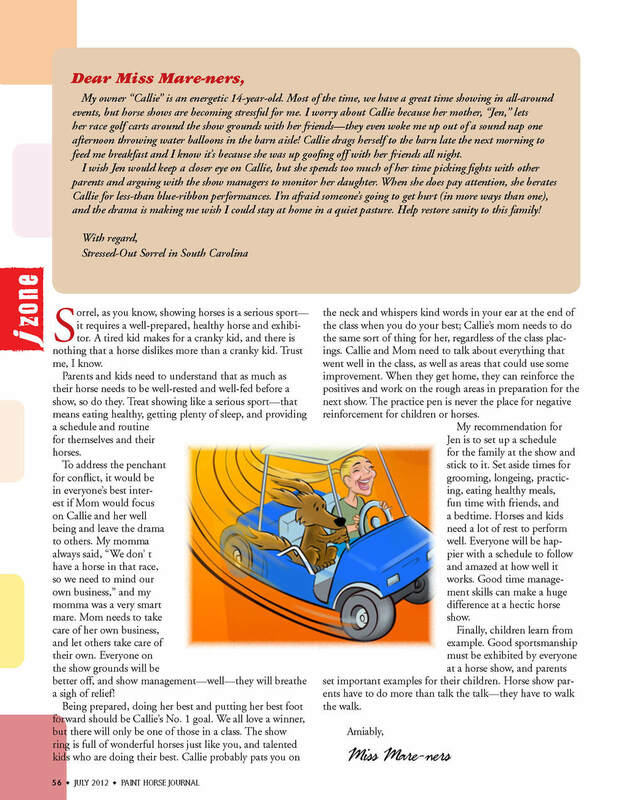 I'm excited to show y'all this article. I love it and I hope you do too!